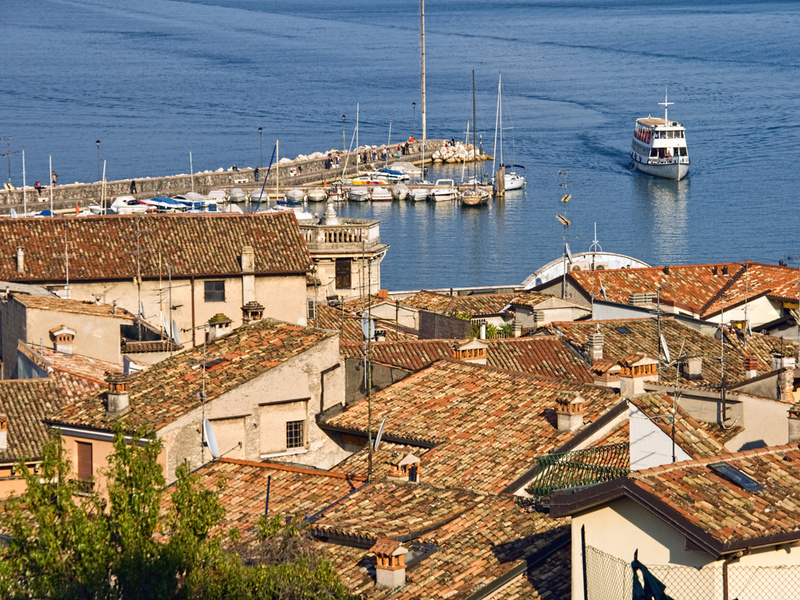 Holidays in Desenzano del Garda ↔ Discover Lake Garda! 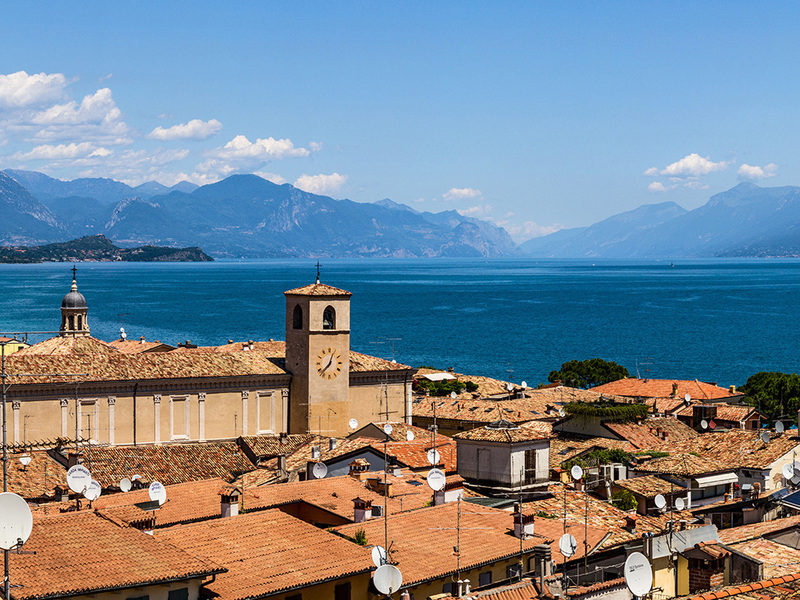 Sitting on the southern shores of Lake Garda, Desenzano is a popular destination with beautiful shopping streets and a lively nightlife. 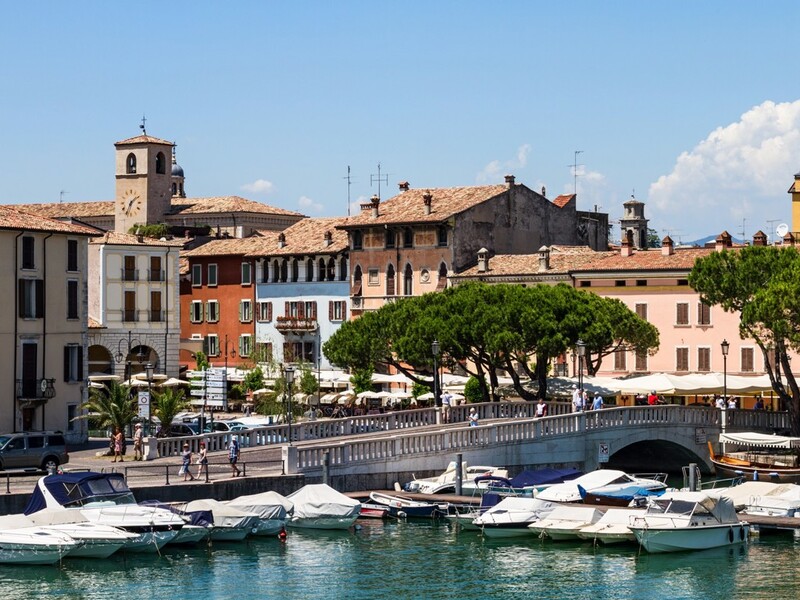 With more than 20,000 inhabitants, Desenzano del Garda is the largest town on the lake with its pretty and romantic squares highlighting its busy urban lifestyle. 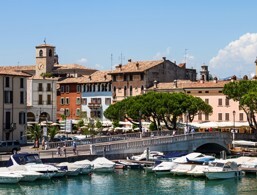 Tourism plays a minor role in Desenzano - with the exception of the large marina. For many visitors, the village is a favourite place for cultural walks and shopping tours, but not so much as a destination in itself. In the Middle Ages, the city was already an important trading base. This is evidenced by the many trading houses with their typically arched storage rooms, predominantly found in the historic centre and around the harbour. 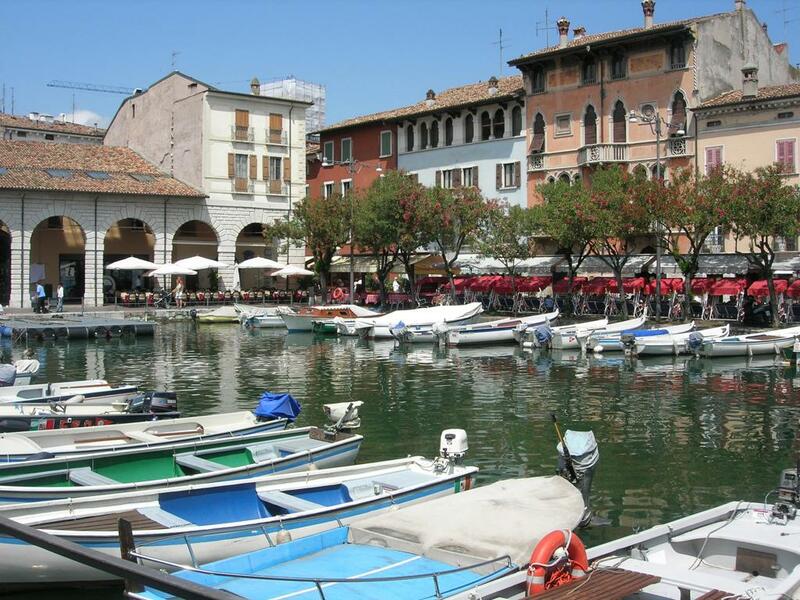 In today's Desenzano del Garda, the numerous shops and boutiques under the arcades of the old town are considered a good tip for shopping enthusiasts. If you just want to enjoy a cappuccino and watch the busy city in action, you'll find many spots amongst the little streets and cute alleyways. In the summer months, the exciting nightlife with many bars, pubs and clubs draw locals and tourists together creating a friendly and fun atmosphere. While almost all desires are covered concerning city life, unfortunately, there are not many choices for swimming. There are, however, a few beautiful walks and parks, and some of them reach the lake. 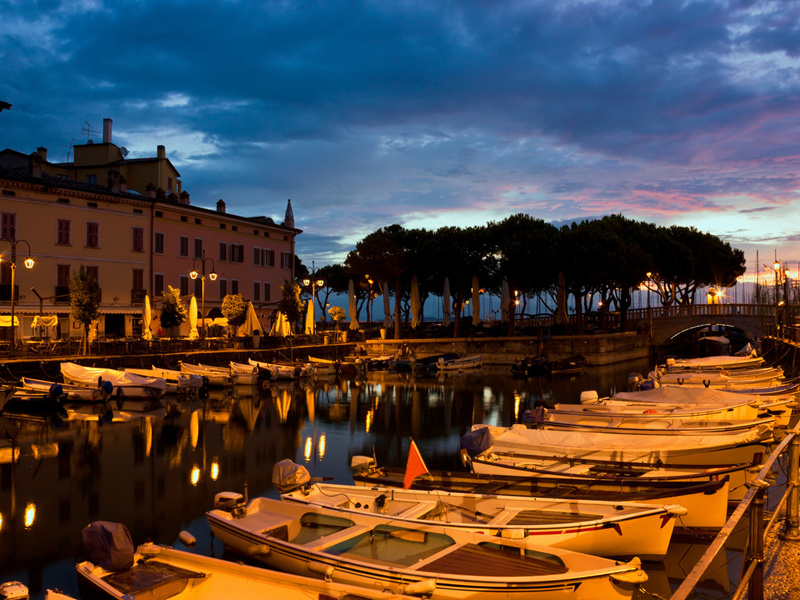 The picturesque port of Desenzano is reachable via the central Piazza Matteotti and the Ponte alla Veneziana bridge. 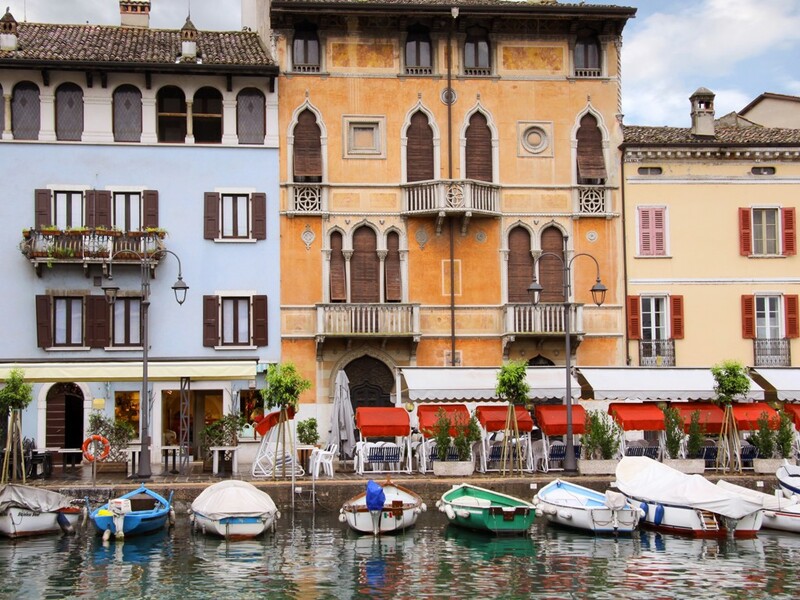 Here you will find the restored Venetian Palazzo Todeschini. Formerly used as a granary, it has a beautiful portico. 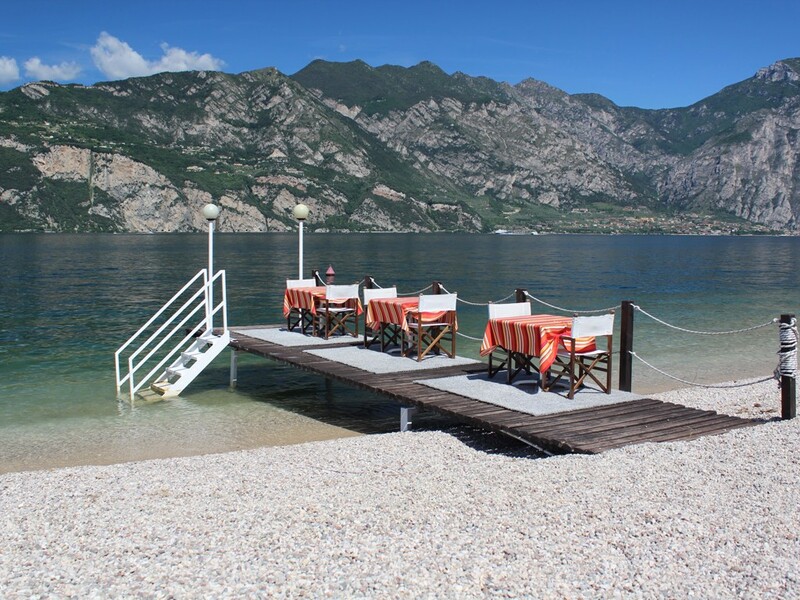 For walking, we recommend the promenade Lungolago Cesare Battisti. 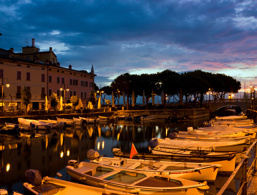 Not far from the port is Piazza Malvezzi, with arcades and a monument to Santa Angela Merici, patron saint of the city. The late renaissance cathedral with its elaborate entrance stands near the Malvezzi square. It is worth seeing the interior, which is decorated all over with oil paintings. Most of them are by the artist Andrea Celesti from the 17th century and were a sign of the wealth of the former trading city. Particularly impressive is the Last Supper by Giambattista Tiepolo in the Chapel of the Blessed Sacrament. Narrow, reasonably steep lanes lead to the ruins of a medieval castle, located above Piazza Malvezzi, dating back to the 9th century. Only the outer walls and towers are preserved, as the Austrian troops built a fort in the 19th century and destroyed many existing buildings. 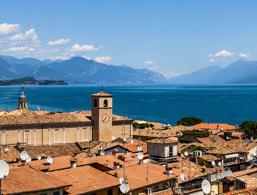 From here you can enjoy a wonderful view of the city and the lake. In the middle of a residential district, the remains of a magnificent late antique villa with adjoining residential buildings were found in the 1920s. 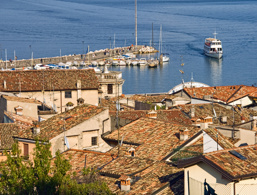 This shows that the southern shore of Lake Garda was already a popular residence for well-off citizens in Roman times. Over 200 square meters of stunning mosaic floors have been preserved, as well as the old cavity heating systems. Many finds are exhibited in the Antiquarium at the entrance to the archaeological site. 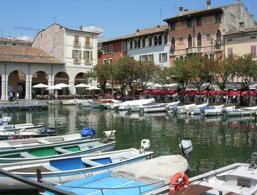 The Archaeological Museum of Desenzano del Garda is housed in a former monastery complex in the new harbour area. On display are weapons, a very old wooden plough, objects made of ceramics, and other everyday objects, which were found in the settlement Lavagnone just outside the city. A trip to the area south of Desenzano leads to Solferino where, in 1859 a significant, very messy battle took place in the wake of the unification of Italy. The Red Cross was founded here by the Swiss Henri Dunant. In the Museo Storico Risorgimentale and in the tower Della Rocca the events of that time are vividly presented. There is also a church where the bones of the fallen soldiers and the Memorial Croce Rossa Internazionale are kept. 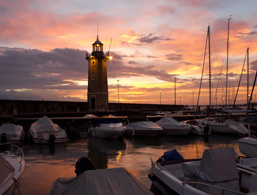 The accommodations at Desenzano del Garda were rated 4 out of 5 stars by 25 users.